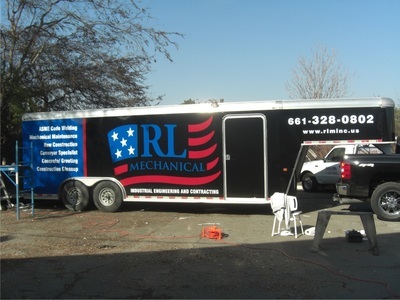 ​Vehicle Wraps, Car Magnets, Car Window Decals, etc. 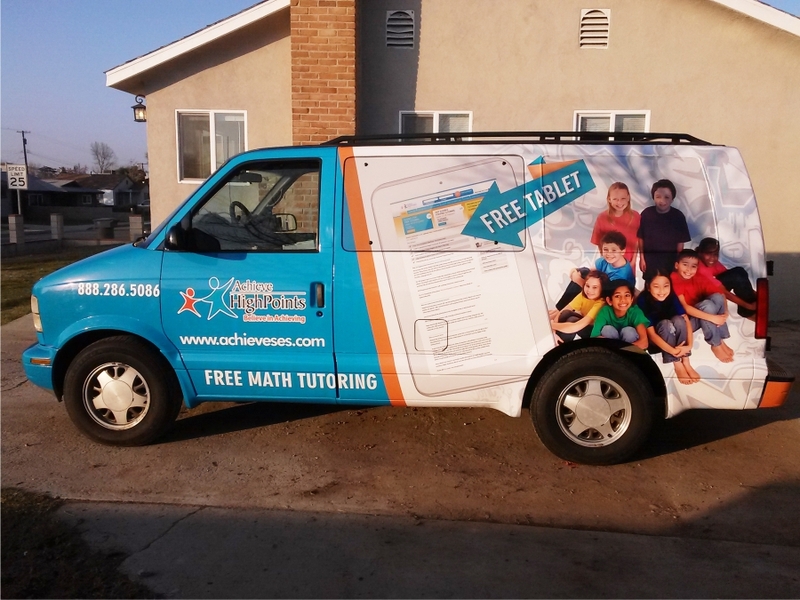 Business is mobile, advertising is everywhere and we've got a match for you with car graphics from Bakersfield Signs. That's what most people know them as, but it's not just for cars - we are able to advertise on all types of vehicles in all sizes. 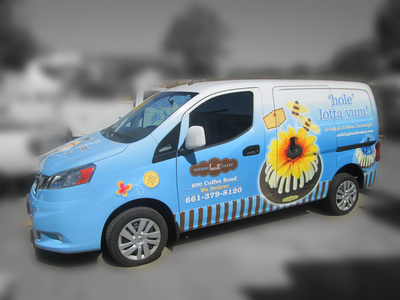 We produce car graphic decals that can easily adhere to your car, van, or truck doors and identify your business to your clients. 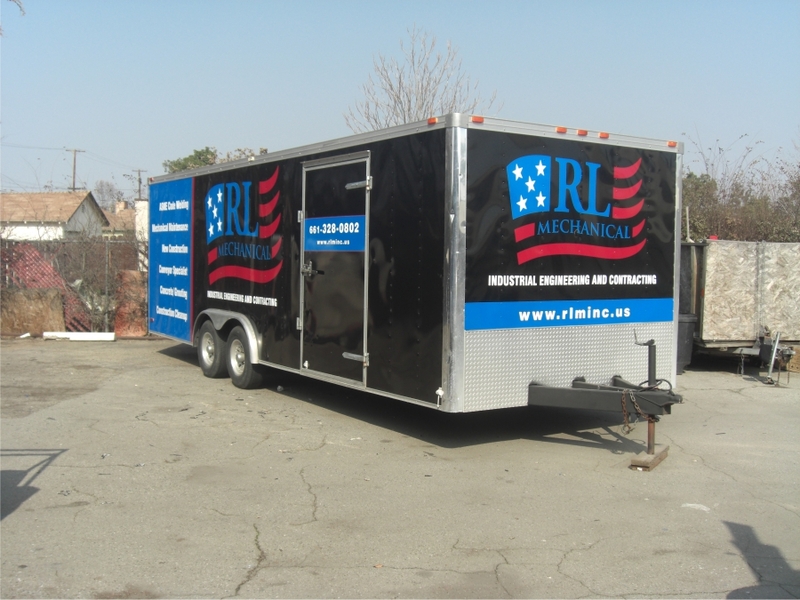 Vehicle lettering from Bakersfield Signs is one of the best and most economical ways to advertise your business. 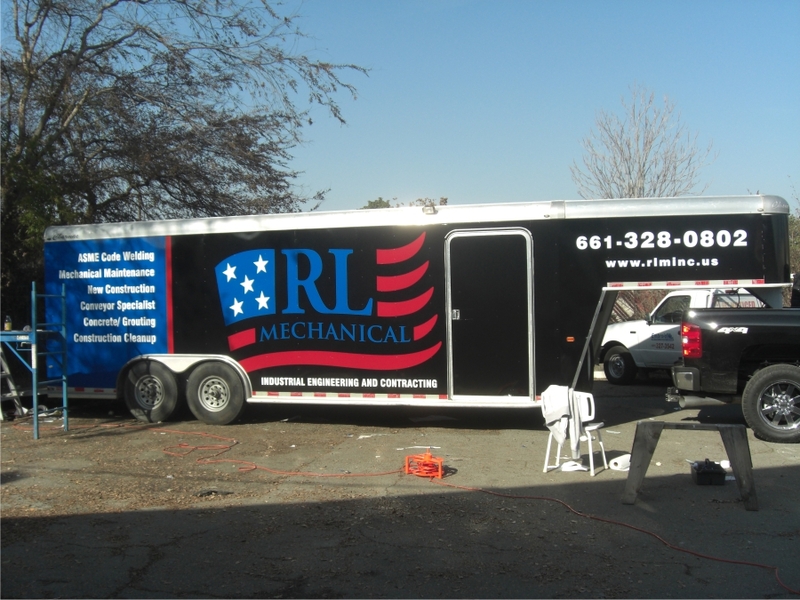 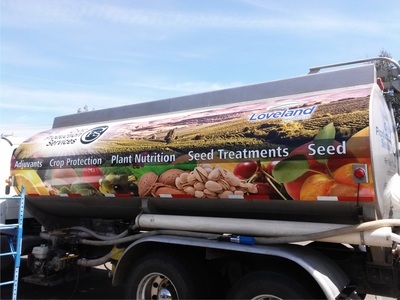 Whether you run a fleet truck operation or you are an independent truck driver, you will want to advertise your business by using vinyl lettering. 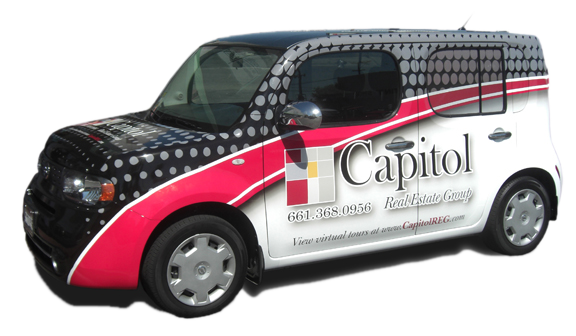 Bakersfield Signs Car Magnets combine promotion with portability for your business. 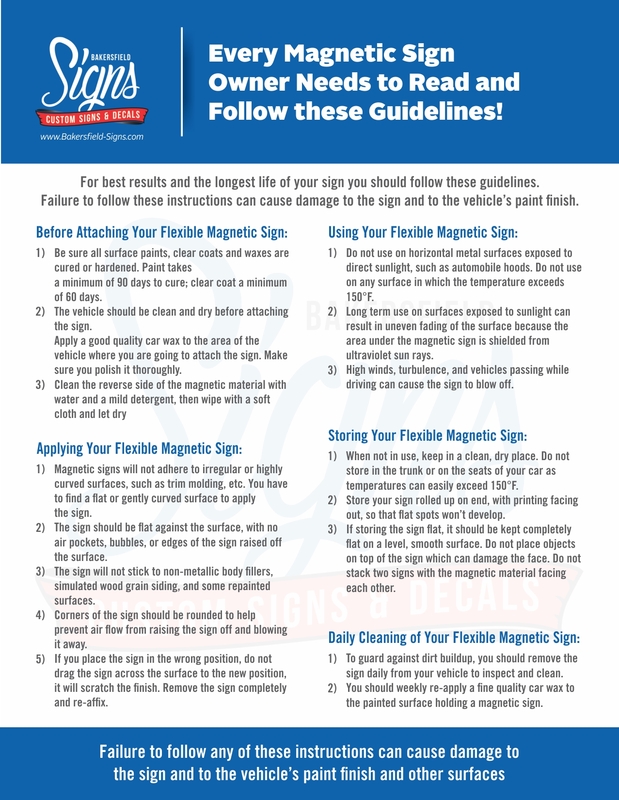 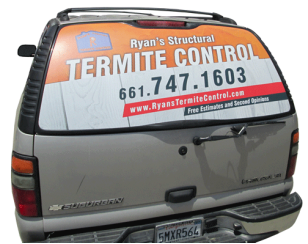 Customers requesting these popular vehicle signs include residential clients, landscapers, real estate agents, insurance professionals, private investigators, florists, pizza delivery clerks, surveyors, county and state employees, and pool maintenance professionals just to name a few. 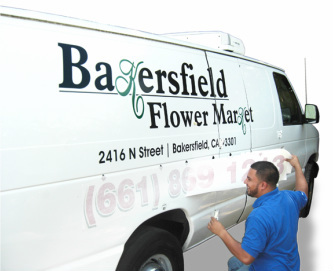 Bakersfield Signs designs and print Full Color Window Graphics for vehicles of all shapes and sizes. 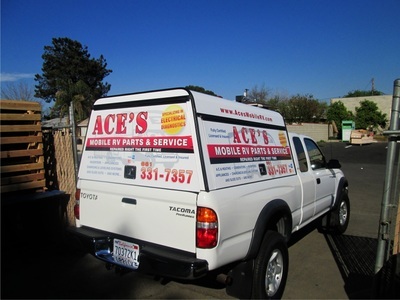 Our perforated window signs are very popular for commercial vehicles and personally-owned cars and utility trucks. 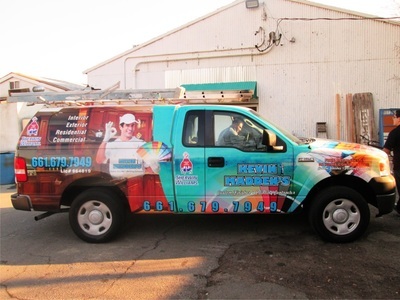 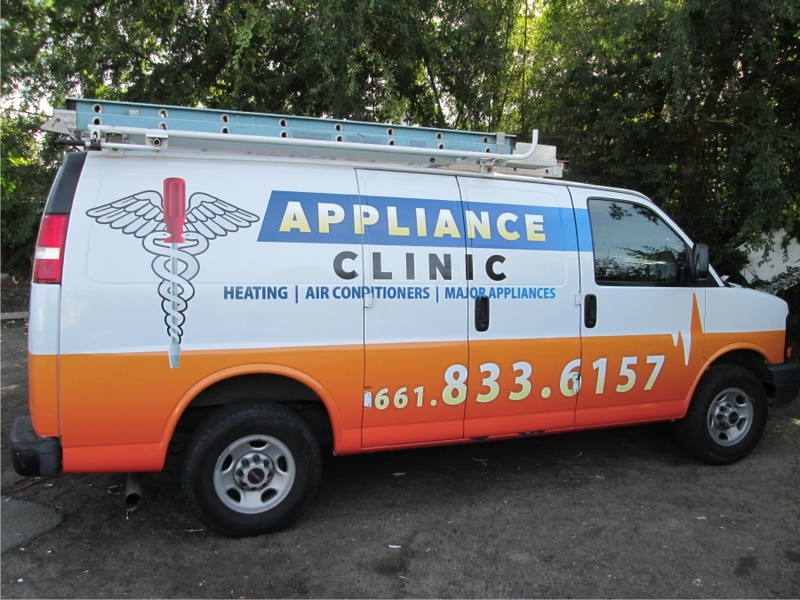 Vehicle window graphics routinely announce a contractor is on site, a delivery is underway or another quality job has been delivered.